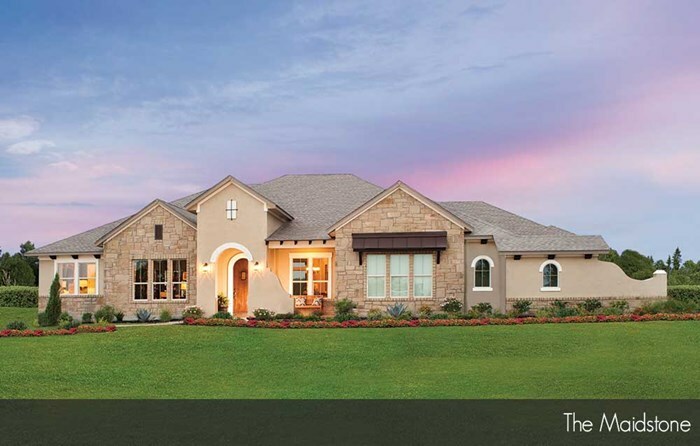 Forest Grove is a master planned community in Round Rock – it’s just South of the Brushy Creek and the Dell Diamond, so you’ve got all the retail and green space around Old Settler’s Park on your doorstep. It’s just off Highway 79 from which you can get onto the ever more congested I35 or the faster 130 which skirts around Austin. Still it’s a cinch to commute to major employers like Dell, and you can easily get to La Frontera or the Round Rock Premium Outlets. If you are interested in finding out more about buying a new home, we have a team of experienced real estate agents who can help. We provide expert representation to buyer clients at no cost – call us on 512 215 4785. There are new homes being built at Forest Grove which starts at $299,995 and some of these floor plans come with a 3rd bay garage. There is a low property tax rate of 2.35%. Also, all of these homes comes with great energy efficiency programs. There are currently 24 floor plans to choose from where each can be completed within 5 1/2 months and there will also be a myriad personalization options for every home. Disclaimer: All information deemed reliable but not guaranteed and should be independently verified. All properties are subject to prior sale, change or withdrawal. Neither listing broker(s) nor Dash Realty shall be responsible for any typographical errors, misinformation, misprints and shall be held totally harmless.